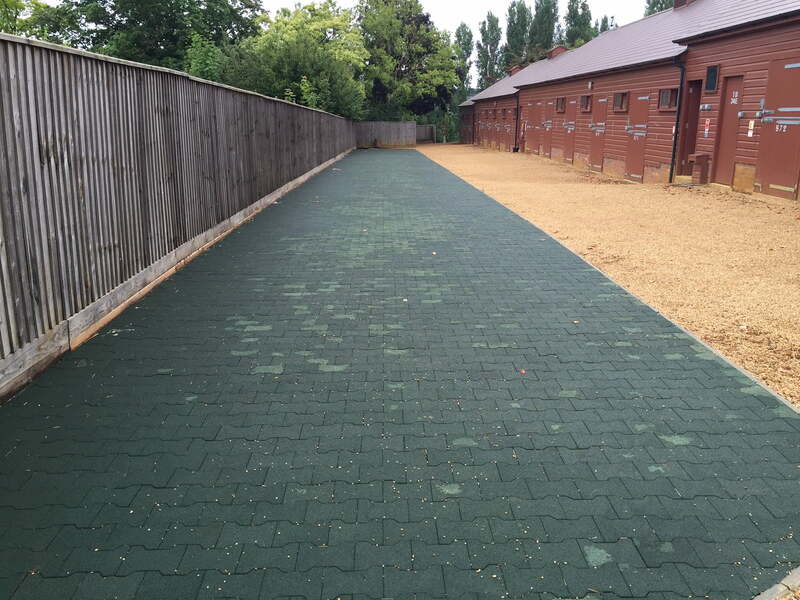 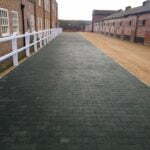 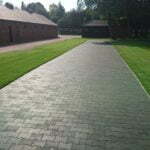 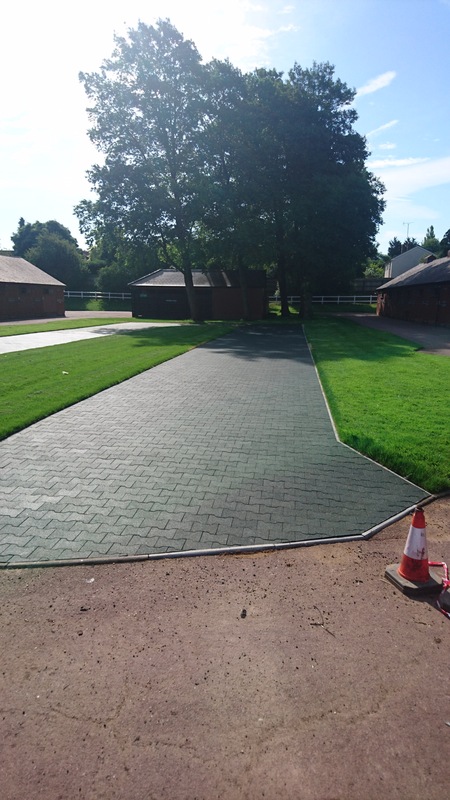 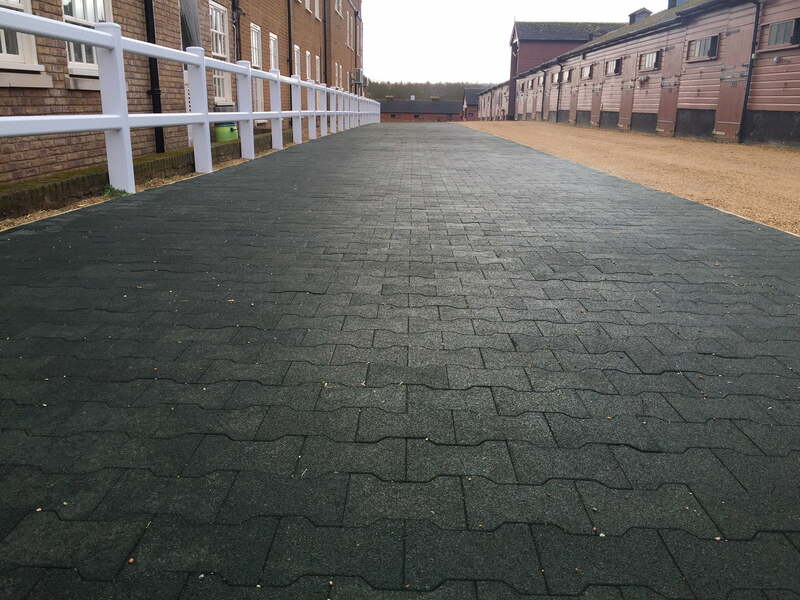 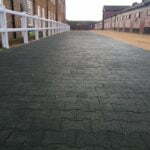 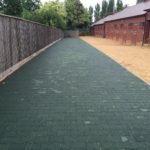 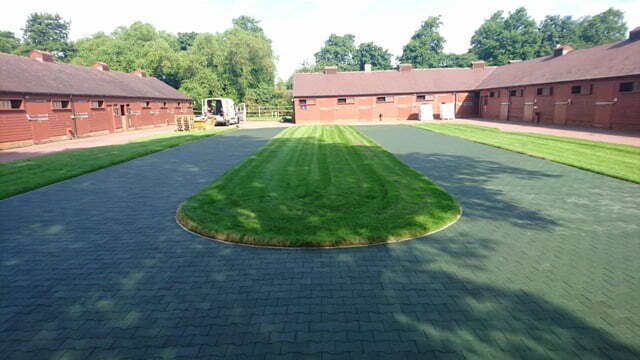 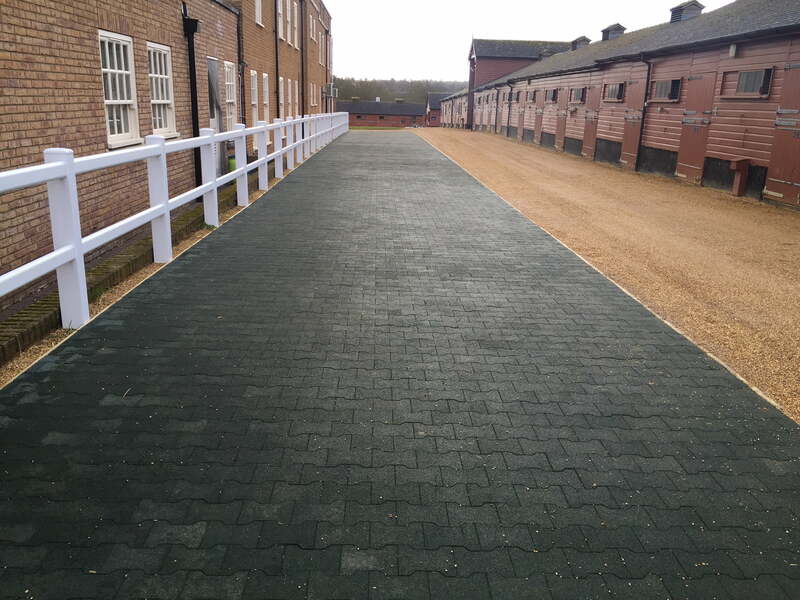 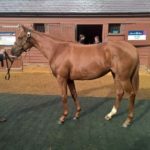 Quattro have been fitting our 43mm Dog Bone Rubber Pavers to the walkways and sales rings at Tattersalls for a number of years now with the pavers being fitted in Black, Red and Green with only the high density pavers being used. 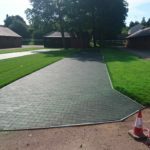 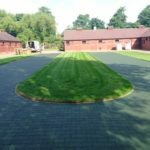 The Dog Bone Pavers give a very aesthetically pleasing finish and are extremely durable and safe for the horses to walk on. 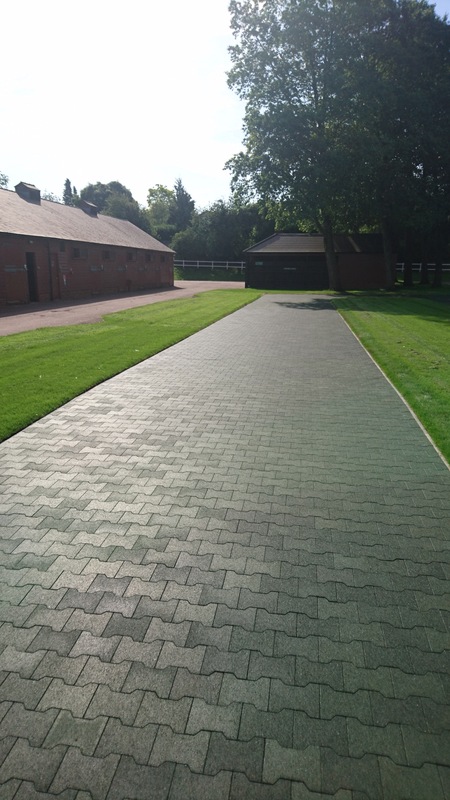 The Pavers have been bonded to the concrete or tarmac bases using our Matbond resin so there is no danger of them moving or lifting.